Calories are units which determine how much energy a specific food item contains. The calorie requirement of every individual varies depending upon various factors, such as gender, age and the level of daily activity. If a person consumes more calories than he burns every day, he ends up gaining unhealthy weight. Therefore, most of the health conscious individuals have started turning to low calorie diets. Such diets consist of food items which are low in calories but high in other important nutrients, such as proteins, minerals and vitamins. 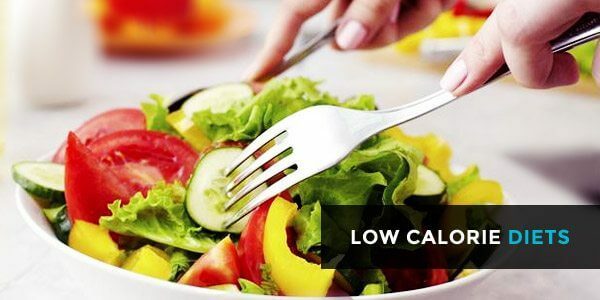 Here are the benefits of low calorie diets. A diet which does not contain excessive calories helps individuals maintain an ideal weight. Issues such as obesity among adults as well as children can, therefore, be prevented. Such diets inculcate good eating habits. Individuals are encouraged to turn to healthier food options and quit bad choices, such as fast food and sugary delights. When one turns to fruits, vegetables and lean meat, one detoxifies the body and helps it avoid nutritional deficiencies. A discovery made in 1935 showed that a diet with low calories can bring about an anti-ageing effect and increase the lifespan. With a consumption of low calories, an individual is able to maintain the health of different organs of the body, strengthen the immunity, lead an overall healthy life and, therefore, live longer. A diet with low calories helps in avoiding heart diseases as well as diabetes. This is because excessive calories cause a spike of glucose, fat, insulin, cholesterol and hemocysteine in the bloodstream. As a result, individuals become more prone to cardiovascular diseases as well as diabetes. A calorie-rich diet induces lethargy while a low calorie intake makes one feel more active and alert if other important nutrients are included in the diet. As the name implies, a low calorie diet must contain few calories. However, before following any of such diet plans, one must make sure that the diet consists of the following important features. The diet plan must not be too difficult to stick to. In particular, if the plan is for children, make sure that foods, which can satisfy hunger pangs as well as the taste buds, are included in the diet. Consult a nutritionist in order to determine how much calories you require per day according to your age, gender and daily physical activity. Your diet should include this particular amount. Depriving yourself of the required calories can lead to issues like weakness and unhealthy weight loss. A good diet plan would not lead to malnutrition. Therefore, make sure that you include all important nutrients, particularly proteins, fiber, minerals and vitamins. The aim of the diet should be to maintain a healthy weight and promote good health instead of leading to issues like underweight and nutritional deficiencies. Here are some recommended low calorie diets. The following plans give suggestions for breakfast, lunch as well as dinner. Your day’s first and most important meal, the breakfast, provides you with the energy to begin the day. Not eating right at the breakfast may cause the entire day to be ruined. You can make your diet plan by choosing from the options given below. White oats porridge is full of fiber as well as iron. It also contains other important nutrients, such as proteins, magnesium, and vitamin B6. Oatmeal serves as a filling breakfast which will not make you crave for unhealthy snacks. A serving of 100 grams contains only 68 calories. A bowl of assorted fruits is also a good way to start. Include low calorie fruits which are also high in fiber so that you can feel satisfied. For instance, pick apples, pomegranate, pears and peaches. For a filling and nutritious breakfast, enjoy wholegrain toast topped with fresh fruit or low fat yogurt. This breakfast is packed with fiber, protein and vitamins with a low calorie content. Skip the high-fat milk shake at breakfast and replace it with grapefruit juice. Full of vitamin C, half a grapefruit contains only 37 calories and speeds up the fat burning process of the body. In case you are not feeling like eating early in the morning, turn to a handful of nuts including almonds, walnuts, peanuts or pistachios. All of these nuts have a low content of calories but are high in fiber and other types of nutrients. At around mid-day your mind might slip off work and start dreaming of some unhealthy snack. In order to avoid such cravings, take a break and have a filling lunch. The following options are low in calories and can satisfy your mid-day cravings. Indulge in a tuna sandwich made from wholegrain bread. The high content of protein in tuna will give your muscles a boost while the fiber in the bread will keep you full. There are 184 calories in a serving of 100 grams of tuna. Adjust the serving according to your requirements. Go for a bowl of mixed vegetable salad. Include leafy green vegetables, such as lettuce. There is a large variety of other salad vegetables as well which are low in calories. These include cucumber, tomatoes and radish. Add some capsicum as well which helps speed up metabolism to burn calories fast. Squeeze some lemon over the salad and season it with black pepper. Lemon will enhance the fat burning properties of the salad. In case you haven’t tried white oats porridge at breakfast, consuming oatmeal at lunch can also be a good idea. Try an oatmeal bar or oatmeal bread for a filling and nutritious meal. There are several dinner options for a low calorie diet. It is a good idea to keep the dinner light and have it at least an hour before retiring to the bed. Skip dessert and avoid over indulgence. Here are some dinner ideas for your diet plan. Enjoy a variety of seafood at dinner twice or thrice in a week. Tuna and salmon are some good options which are high in protein but low in calories. Consume wholegrain bread with a low calorie soup. You can prepare the soup using cabbage or lentils. Always include a fibrous side dish with the main course. Some options are broccoli salad, boiled potatoes and peas or fresh salad using assorted vegetables. Consume skimmed milk and skip energy drinks or fizzy drinks. These are some of the diet plans which you can follow during your health regime. Make sure you always include sources of high fiber and protein along with a blend of essential minerals and vitamins.